We're probably less than half a percent into the full realization of public cloud, yet there already are more cloud computing providers in the market than users can count. So how are you supposed to settle on the right cloud services provider when the multitude of types and choices is dizzying? Enterprises that want to contract for cloud services might be frustrated to find it takes months just to compare what's out there in any thorough way. What's even more frustrating is that, after all that work, many new cloud providers will have been added to the list while others may have changed their financial and service terms, been acquired by a larger vendor, or gone out of business altogether. Read More to find out why you should choose one cloud computing provider over another. Small units to get cloud computing, says govt. The government would collaborate with service providers to provide latest technology and software to micro-enterprises at cheaper rates. "Small entrepreneurs are unable to afford expensive software packages... Keeping in mind, our ministry proposes to launch in collaboration with service providers, cloud computing for the sector," Micro, Small and Medium Enterprises (MSME) Minister Virbhadra Singh said. He said the ministry would combine with software providers; the move would help small units access world class computing packages at lower rates. 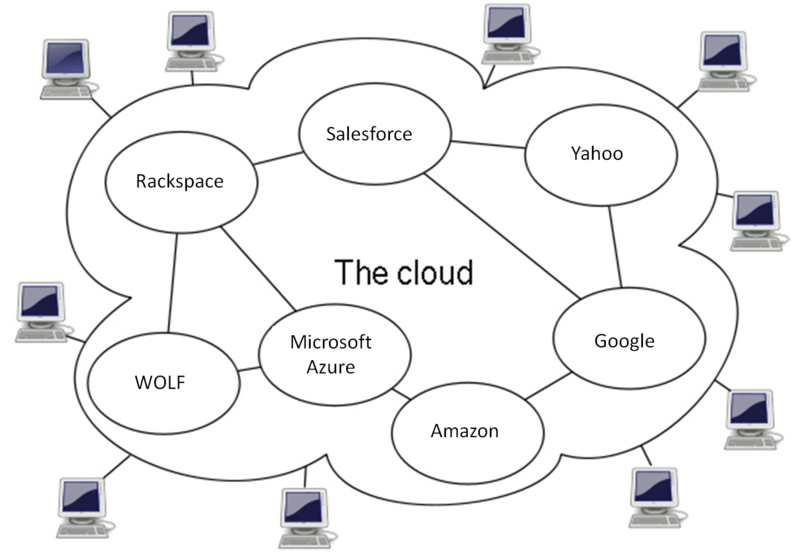 There’s a good reason why everyone is talking about cloud computing. With infrastructure-as-a-service, for example, whatever computing power and storage capacity you might need is immediately available on tap. Combine this with virtualization technology and organizations gain unprecedented flexibility to deploy virtual servers whenever and wherever they are needed. Organizations should never just assume their data is safe when they expose it to a publicly available service. When you get a private line from a telco, is it really ‘private’? The fact is that it uses shared infrastructure and it is up to you to secure it. The same is true when you put data in the cloud. It is still your responsibility to secure it. Few organizations have moved to cloud computing - the delivery of computing as a service from remote centers - and of those that have, many are disappointed with the results, a survey published on Tuesday found. Fewer than one in five organizations questioned have outsourced the hosting of their applications to cloud computing providers, with two-thirds in early discussions, in trials or not considering a move, said computer security firm Symantec. Concerns about security and a lack of expertise among IT staff are the main factors holding companies back, according to the survey of 5,300 organisations carried out by Symantec. 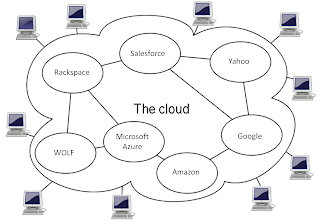 Several years after IT gurus first spoke about cloud computing, it is still something of an ethereal concept. But as the availability and affordability of African bandwidth increases, corporations are beginning to see how the cloud can help them expand their physical presence without equally heavy investments in IT infrastructure. We hope these short sum-ups on cloud computing will help you to take a more knowledgeable approach towards moving to the cloud. Stay tuned for more sum-ups on in the forthcoming weeks. Don’t forget to add your comments and suggestions. I will have more around the cloud a week later. NOTE: The views expressed above are purely personal and for informational purposes only. WOLF FRAMEWORKS INDIA PVT. LTD. MAKES NO WARRANTIES, EXPRESS OR IMPLIED, IN THIS SUMMARY. The names of actual companies and products mentioned herein may be the trademarks of their respective owners. Cloud Computing allows users can access information wherever they are, rather than having to remain at their desks.This would be best benefits of cloud computing. © 2006-2010 Wolf Frameworks India Pvt. Ltd.